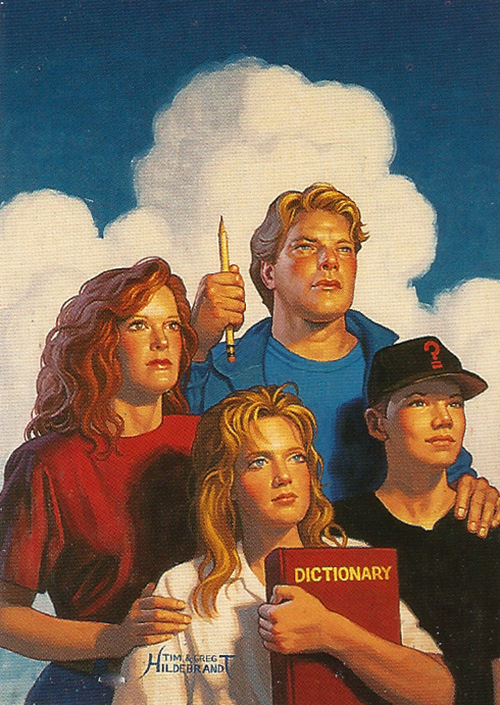 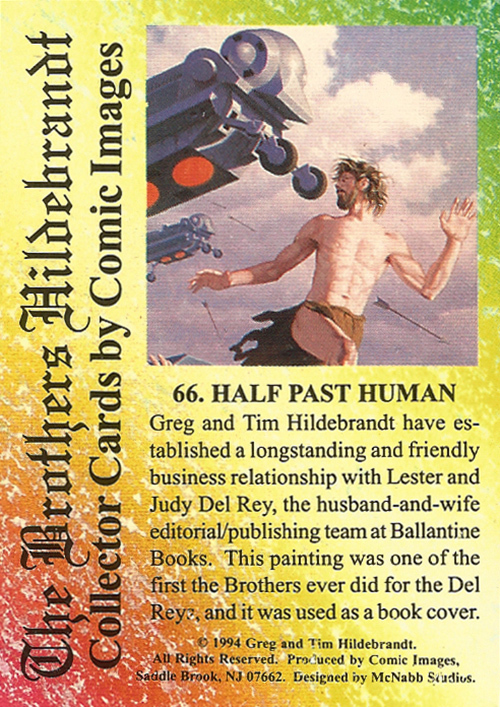 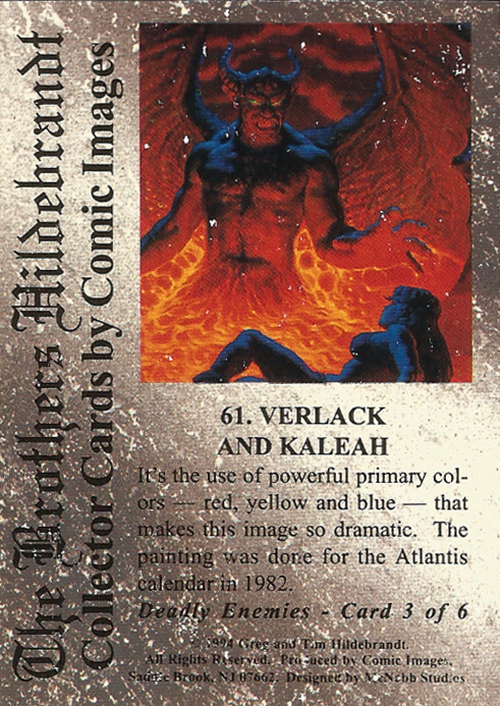 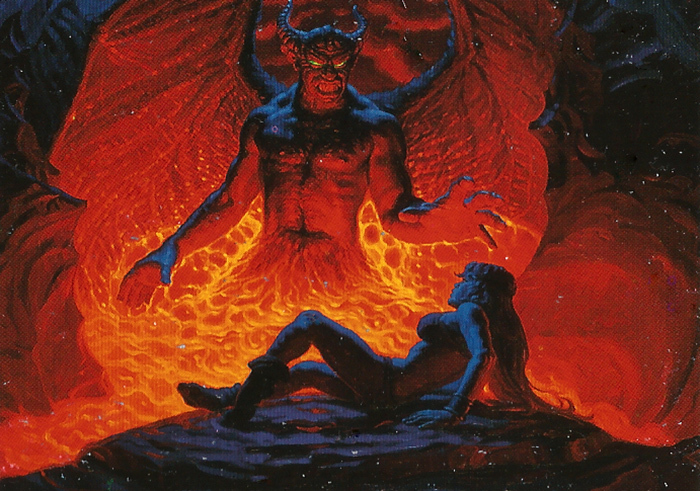 The Brothers Hildebrandt Collector Cards, cards #61-75 (1994) | 'TAIN'T THE MEAT… IT'S THE HUMANITY! 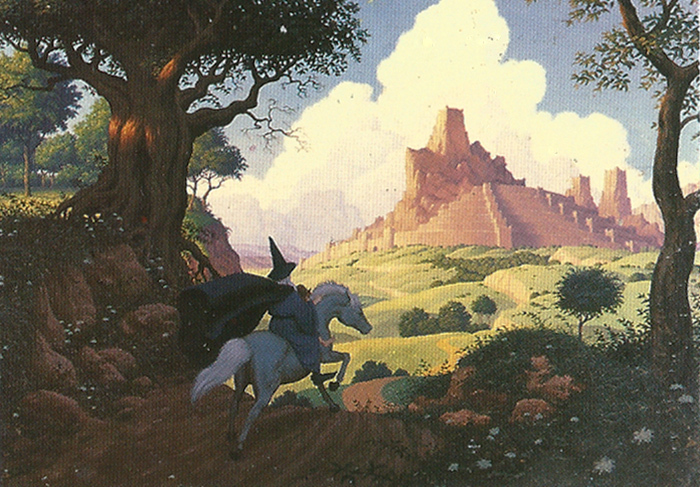 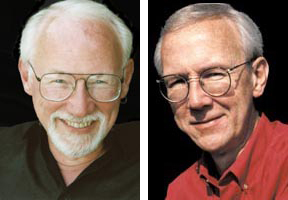 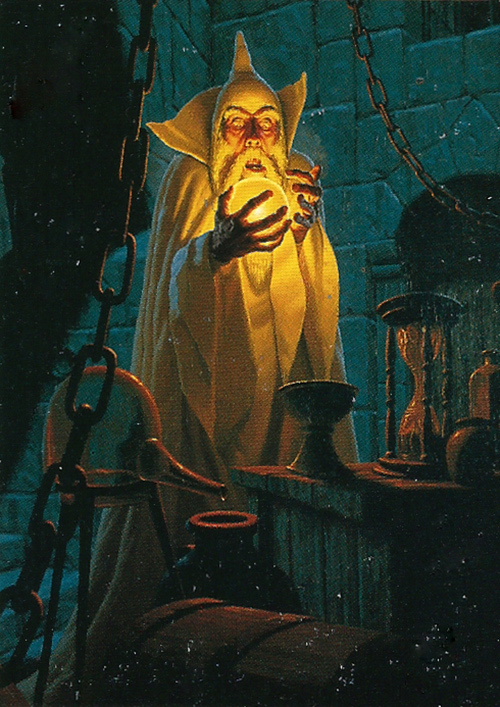 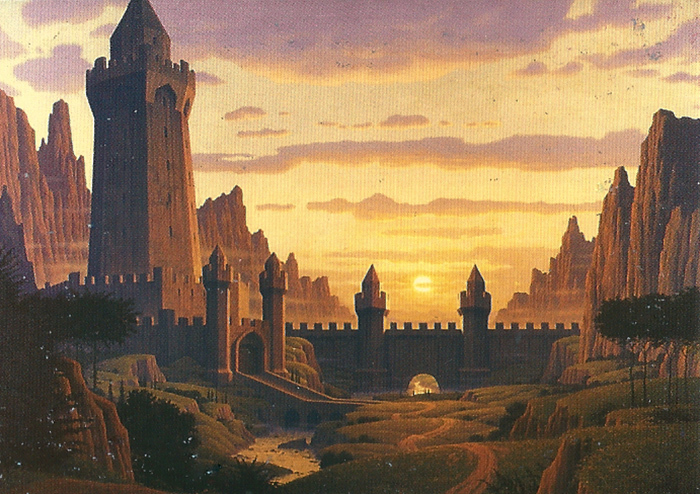 Greg and Tim Hildebrandt were twin brothers who achieved fame in the mid-1970’s when their paintings based on the fantasy novels of J.R.R Tolkien featured in three internationally bestselling calendars. 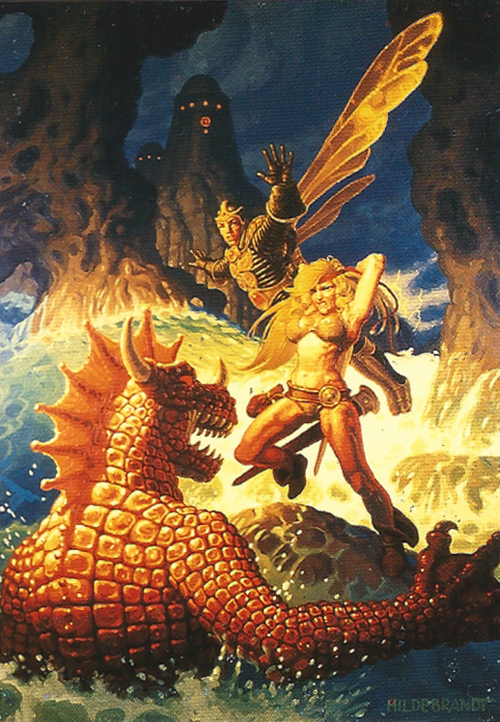 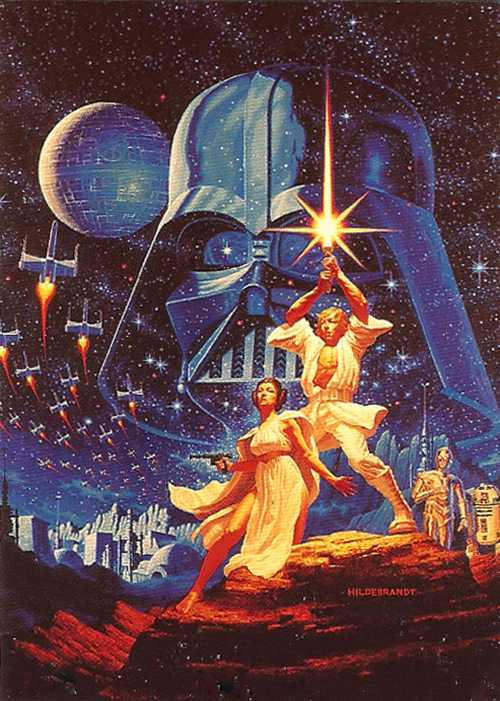 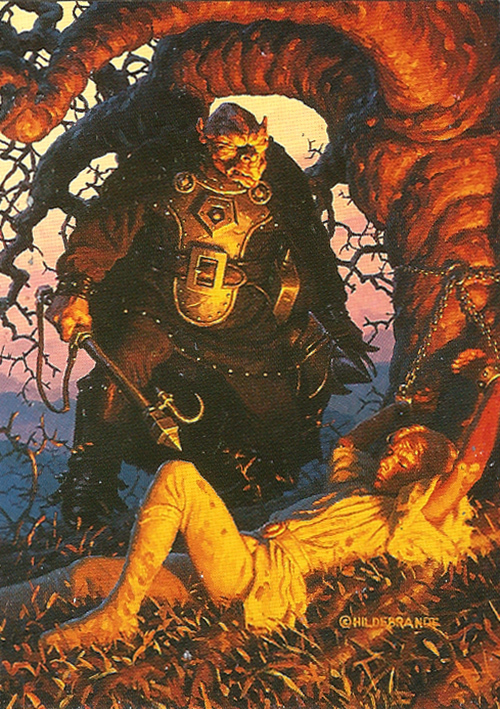 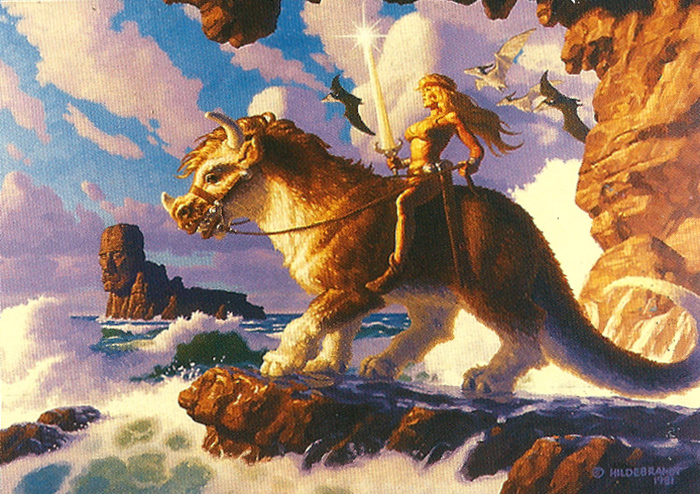 The Hildebrandt’s fame spread further when their work adorned the cover to Terry Brooks’ bestselling fantasy novel The Sword of Shannara in 1977, and on the original one-sheet poster for Star Wars. 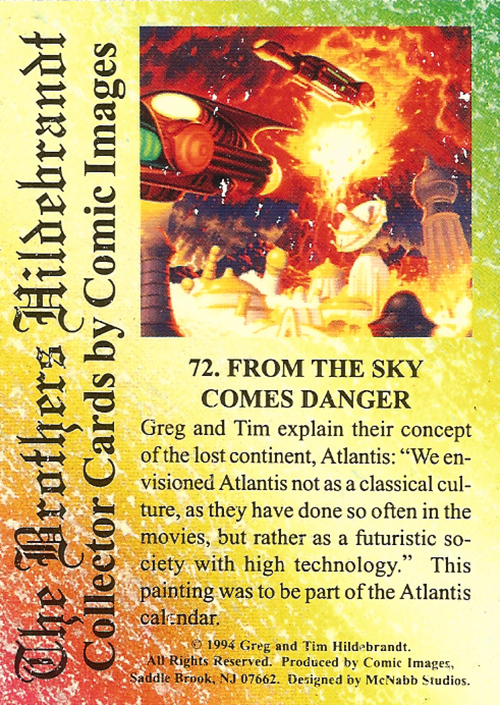 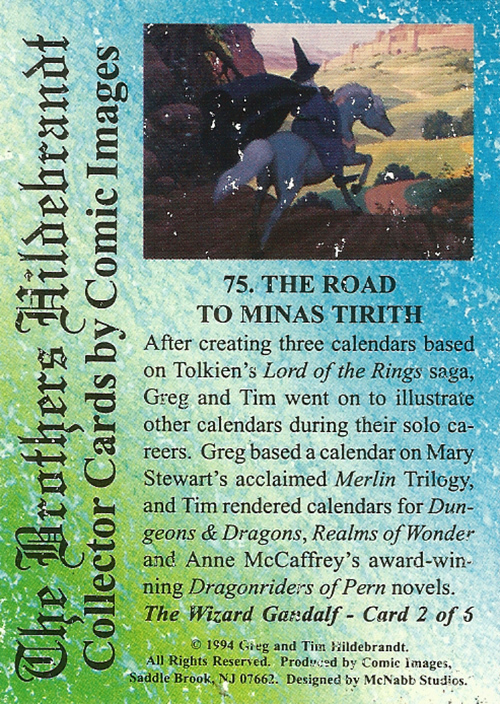 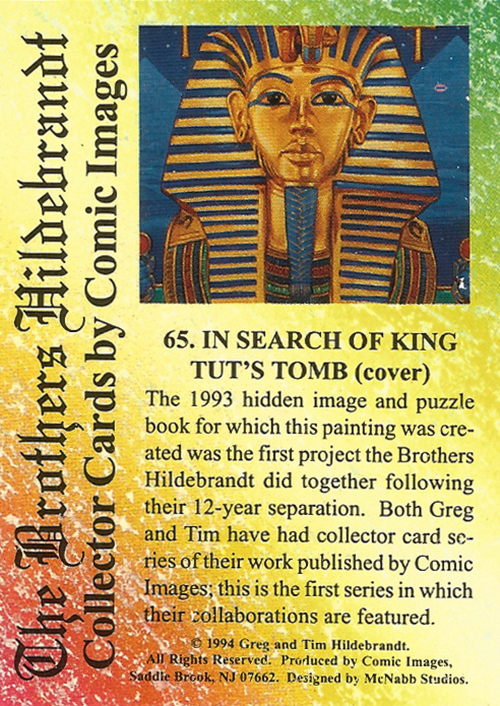 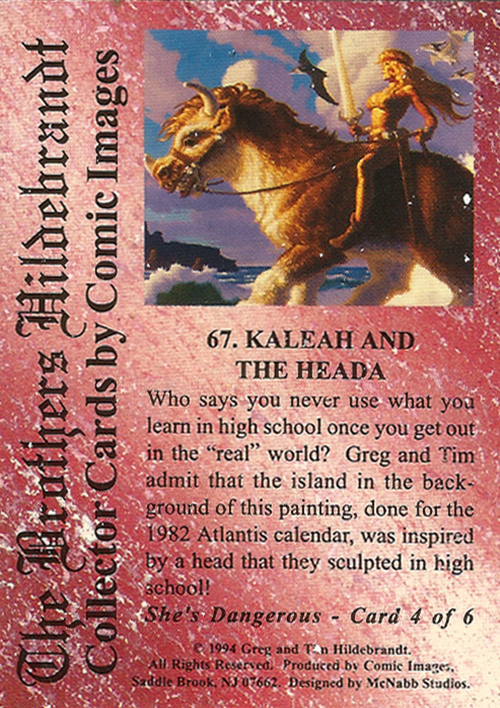 Although Tim and Greg stopped working together in the early 1980’s they reunited for the Marvel Masterpieces 1994 Edition trading card collection in 1993, and continued to work together until Tim’s untimely death in 2006. 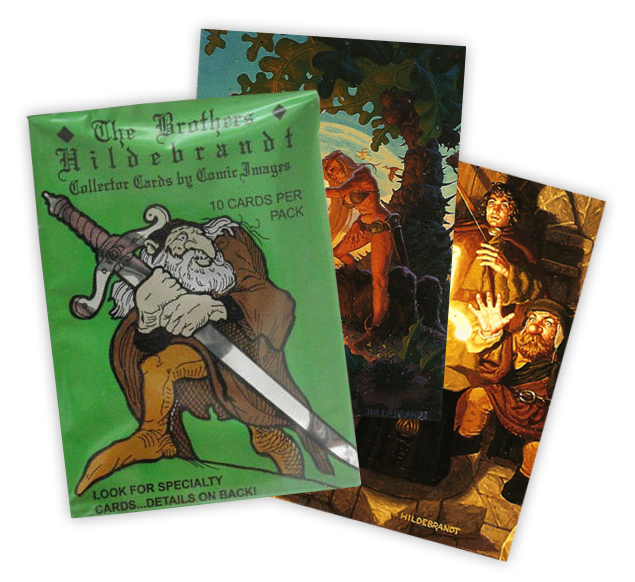 The Brothers Hildebrandt Collector Cards comprised of 90 base trading cards, as well as hard-to-find foil chase cards and 500 hand-autographed cards. 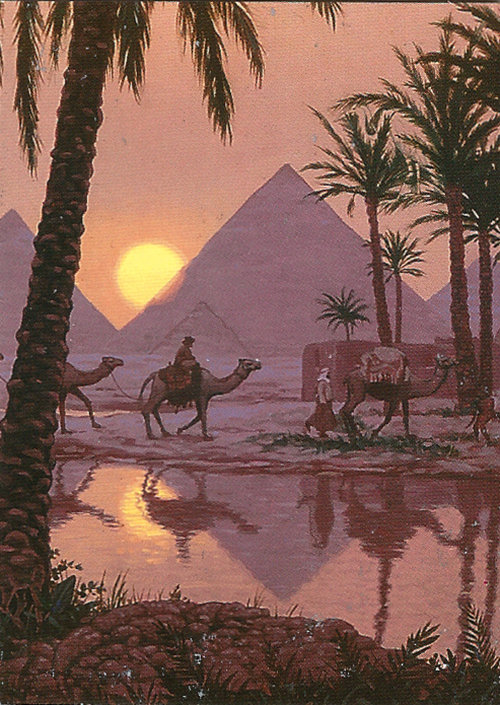 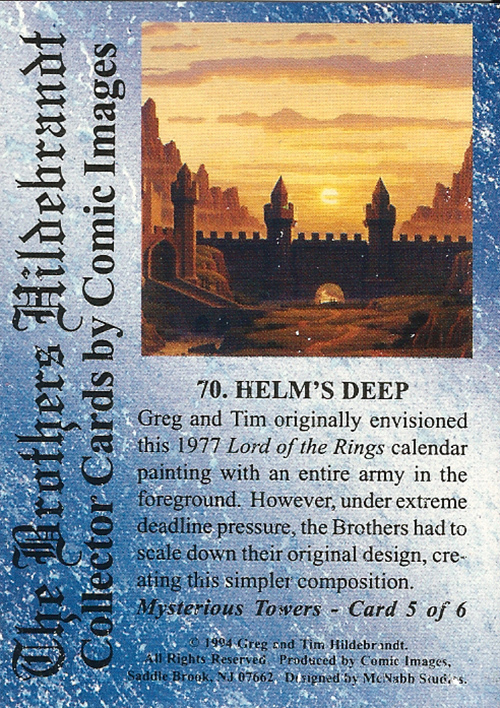 The 2½ x 3½ inch cards were sold in blind packs of ten and each card featured one of the brothers’ paintings along with a short caption on the reverse. 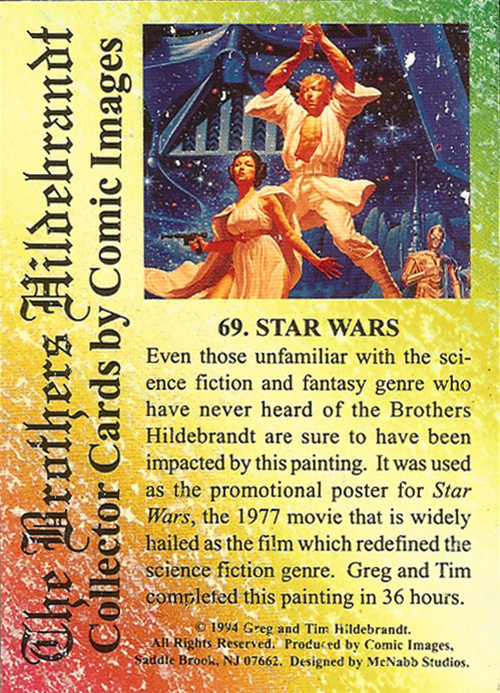 The standout painting from this batch of cards is undoubtedly the brothers’ poster for Star Wars (card #69). 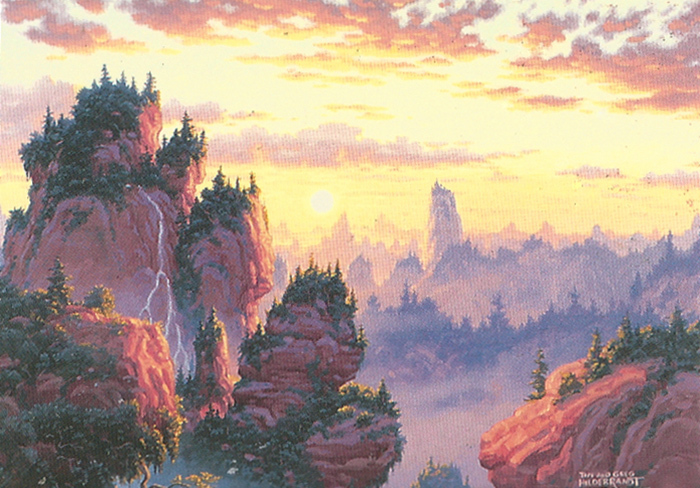 Not only is it a great example of the Hildebrandt’s artistic prowess, it’s easily the most recognisable, and best known of their work. 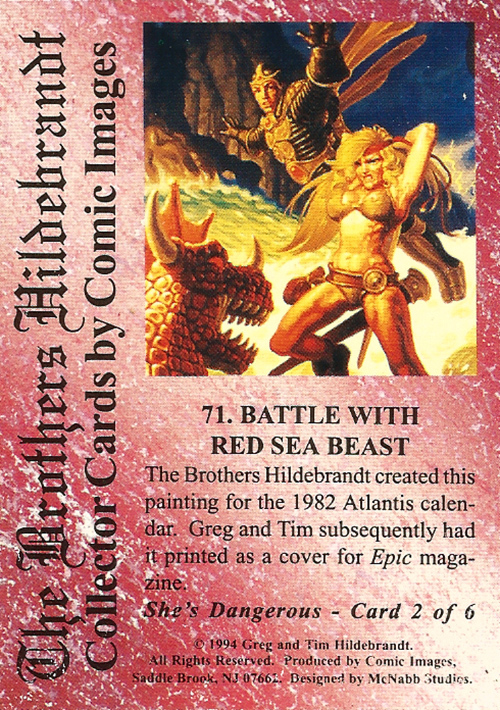 But there’s some other good stuff here. 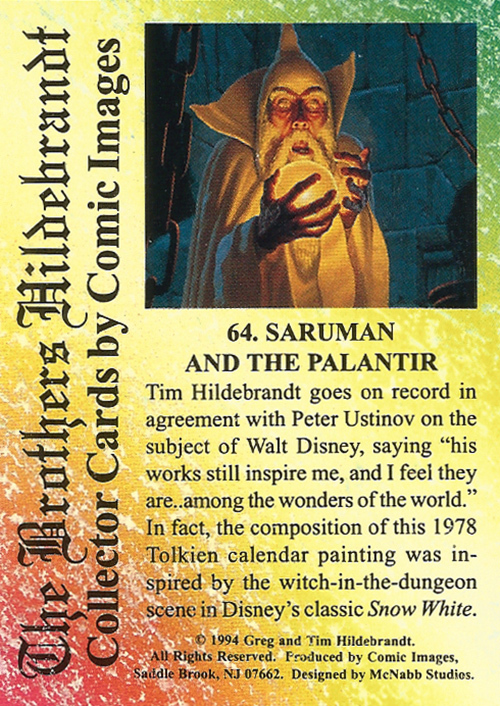 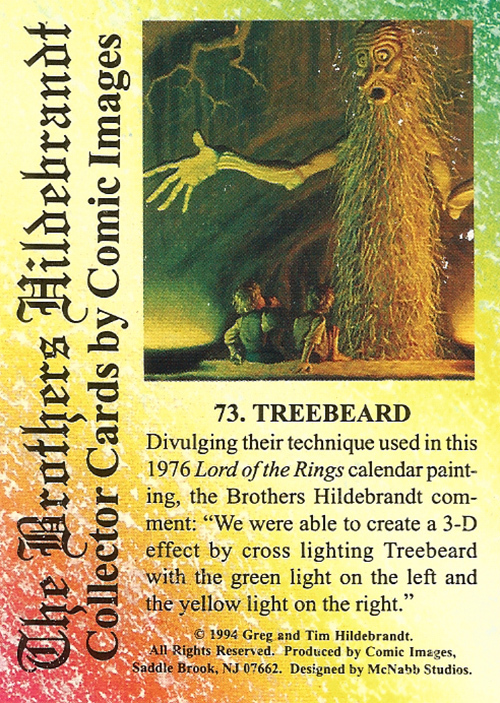 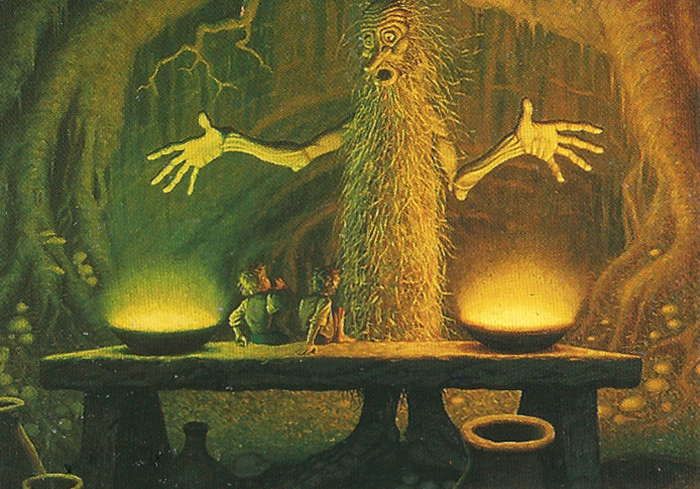 Saruman and the Palantir (#64) is a wonderfully moody and evocative painting, as is Treebeard (#73). 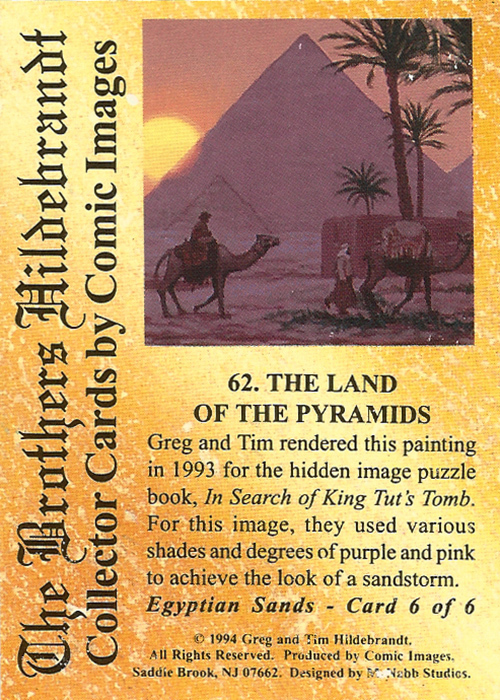 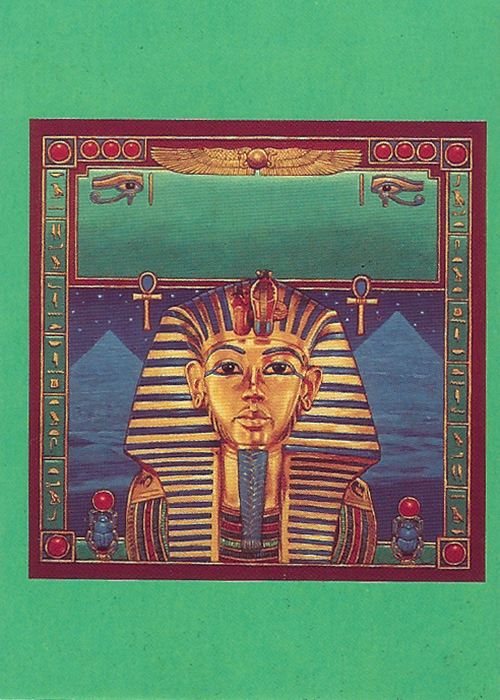 The two Egyptian themed paintings — The Land of the Pyramids (#62) and In search of King Tut’s Tomb (#65) both show a more finely detailed and muted style of painting, while Asgard (#74) is just a wonderfully serene and tranquil landscape, beautifully realised. 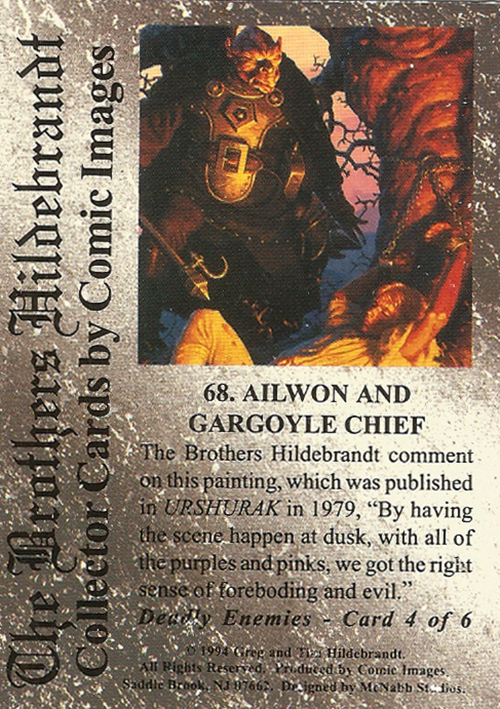 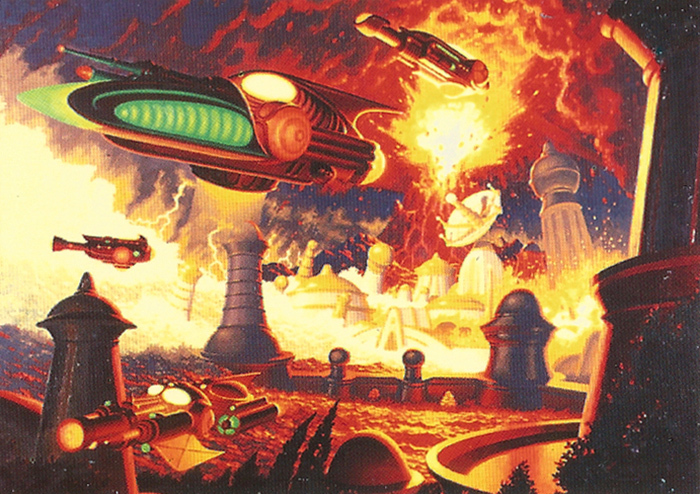 Here is the fifth batch of cards from The Brothers Hildebrandt Collector Cards, both front and back. 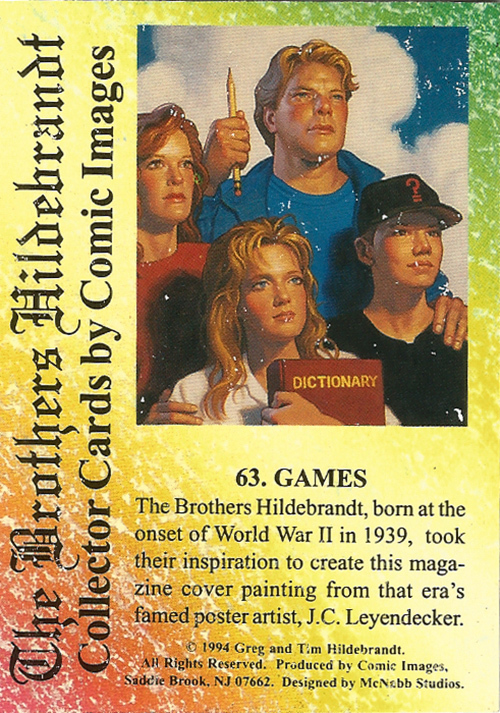 Cards #1-15 can be found here, #16-30 are here, #31-45 are here while #46-60 are here. 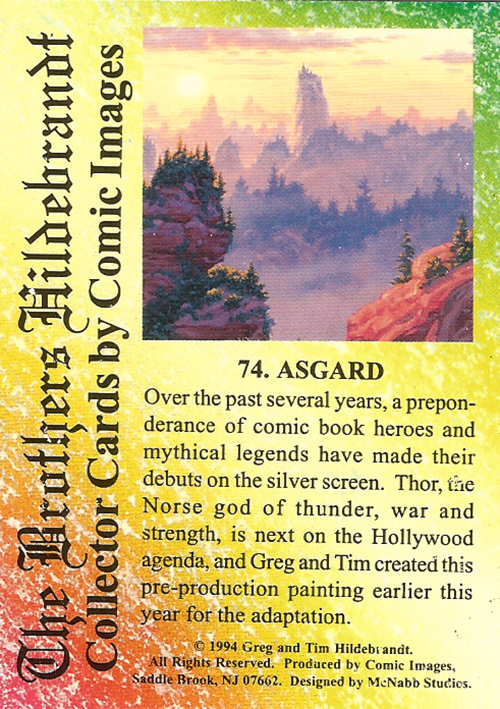 I’ll post the final batch of cards very soon.